Filter Media There are 62 products. REPLACEMENT FILTER FOR 10" WATER FILTERS These Wound sediment & particle filters are capable of removing suspended particles from the aquarium water, with three sizes available: 1, 5, 10, 25 and 50 micron options. When purchasing please select the size you require. 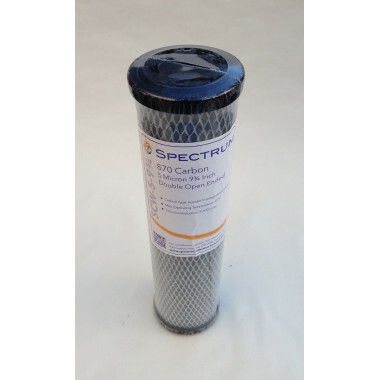 The SPECTRUM 870 Carbon Wrap The media used in the SCW is a unique combination of powder activated carbon impregnated into a cellulose fibre which is formed into a sheet and wrapped around a polypropylene core. This filter is suitable for use in a standard 10" housing. 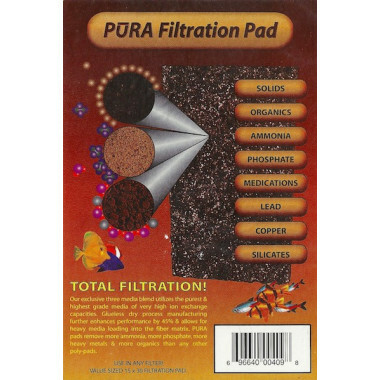 Powerful rechargeable chemical filtration pad for all power filters. 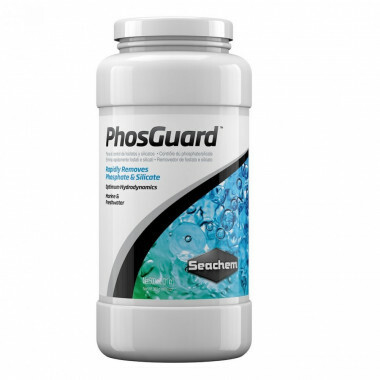 Removes ammonia, phosphates, heavy metals, and all types of organics. High flowrate capacity. 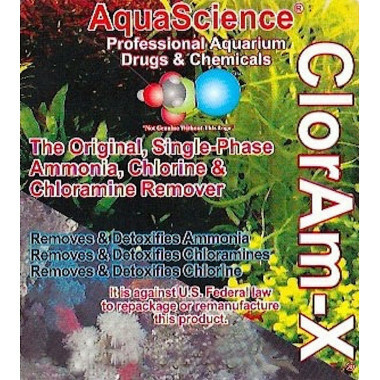 Feed Your Fish and Not Your Algae Rowaphos is the professional method of removing Phosphate and Silicate in all types of Aquariums and Ponds. RowaPhos is guaranteed to remove more phosphate than any other product worldwide. 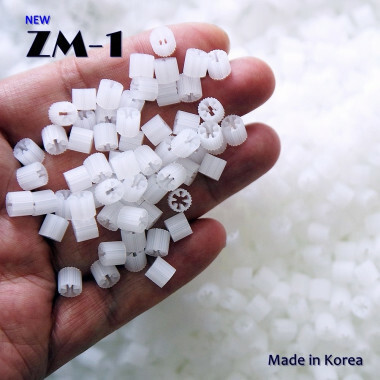 ZM-1 is the worlds smallest fluidised biological aquarium filter media with a huge surface area. Now for the 1st time there is no need to have to purchase expensive GFO media for PO4 reduction and Biopellets for Nitrate reduction. 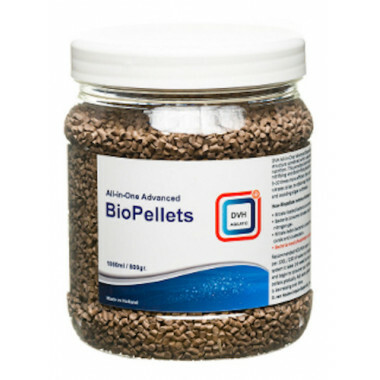 With this All-In-One simple to use product, Reef Interests All-In-One BioPellets will do it all at an affordable cost with no need for 2 seperate reactors for GFO and Biopellets. 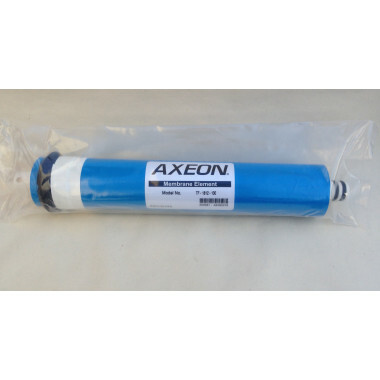 AXEON Pure Water Membranes AXEON, a leader in the manufacture of pure water membranes, use their expertise to deliver a range with extraordinarily high rejection rates (99%) to safe-guard applications requiring exacting levels of purified water. Ultra-low pressure membranes that can operate with pressure levels as low as 5.5 bar. Full Spectrum Chemical Filtration In Convenient Pad Form for total chemical filtration and unparalleled mechanical filtration. Open structure, 3-D matrix that resists clogging.